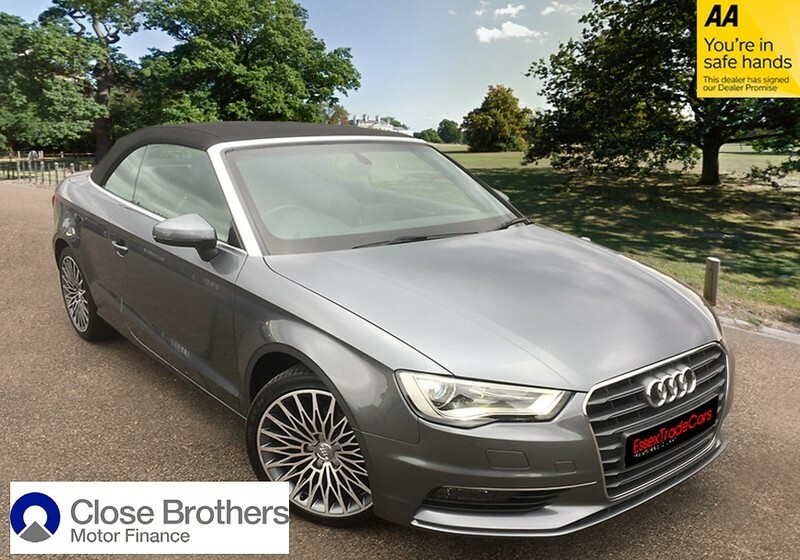 AUDI 2.0TDI Sport 2 door Manual Convertible, finished in Monsoon Grey Metallic, with contrasting Alcantara/Leather interior. It benefits from a huge list of Factory options, as listed below, and it has a Full Service History, and Long MOT. AA Approved, & Multi-Point Checked. (ASK US FOR A FINANCE QUOTATION TODAY!) Apply online at www.essextradecars.co.uk or call us on 01245 482 061, or 07887 777 739 for further details on this lovely example!